docXConverter (for Windows) (Popularity: ) : docXConverter is a program for opening and using files saved in the new Word 2007 default format, docx or in the new Excel 2007 default format, xlsx. Lexi Java Word Processor (Popularity: ) : Lexi is a Java 2 based Word Processor. It currently edits plain text and RTF files, with HTML and Open Document Format support planned. Lexi was originally written by Matthew Schmidt and Brill Pappin. WordIt Word Processor (Popularity: ) : WordIt is a powerful word processor that is more reliable than Microsoft Word and is smaller in size than Word or OpenOffice. WordIt also features a powerful real-time spell check system, that is more reliable than any other word processor. 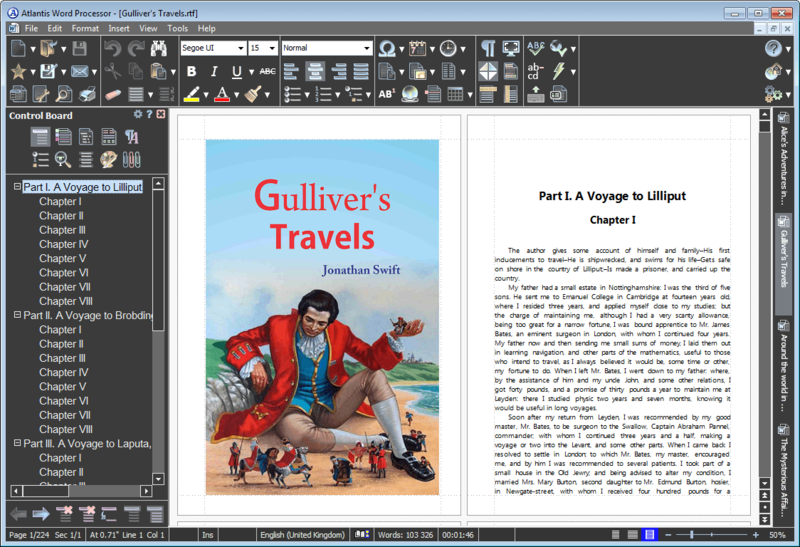 PerfEdit Word Processor (Popularity: ) : PerfEdit is a word processor built on Visual Basic as base language with Python and C++ applets. It is very flexible and is cross platform, runs on most Windows and Linux Systems and Servers. Ked - Creative Word Processor (Popularity: ) : Ked is a online word processor which allows the user to have full control over the visual style of the document, as well as where the text and images are placed. Swop - The Streaming WOrd Processor (Popularity: ) : Swop will be a character-cell-based word processor that internally uses a "streaming" architecture reminiscent of WordPerfect and will also include the "Reveal Codes" feature. XHTML+CSS Native Word Processor (Popularity: ) : Experimental word processor written in Object Pascal, based on XHTML+CSS as its native data formats. Dividing content and its presentation could be a brand new and original way to author documents.